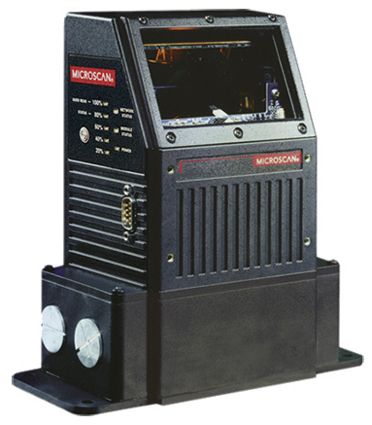 The MS-890 is a heavy duty scanner with the flexibility to solve a multitude of applications under a variety of factory conditions. The extended read range and intelligent sweeping raster provide robust reading of both linear barcodes and stacked symbologies. 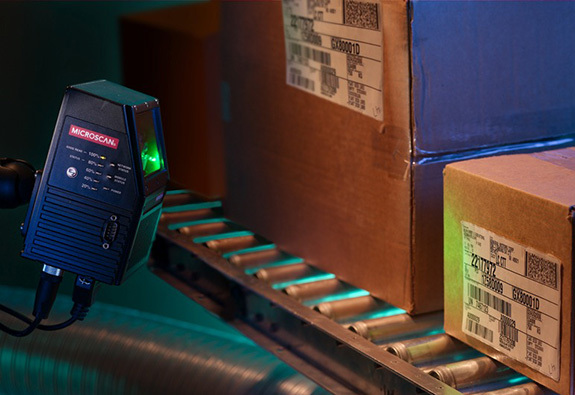 Barcode Programming: Changing scanner configuration on the factory floor is as simple as presenting a barcode and pushing the EZ button. This feature makes it simple to replicate settings on multiple MS-890 scanners. 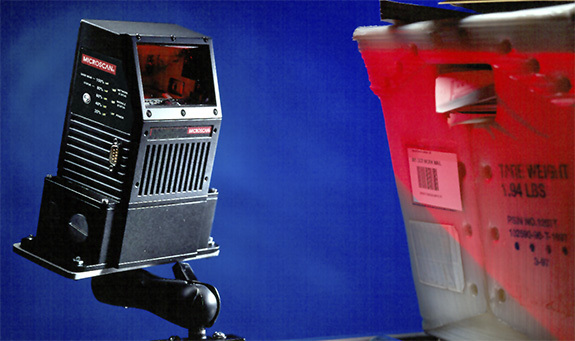 A major food processing company uses Omron Microscan’s MS-890s to track boxes of cereal as they are palletized and prepared for shipment from the facility. 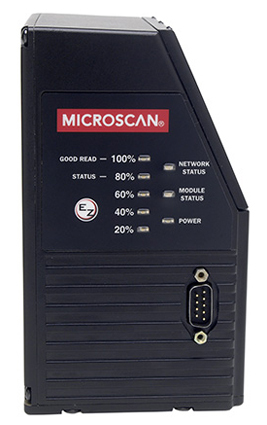 An engine manufacturer needed to maximize production by increasing line speeds, and therefore needed a barcode scanner that could read codes on engines as they moved past the scanner without requiring a line stop for each read. By replacing their manual system with a machine-applied barcode label and an extended read range scanner, an automotive tire manufacturer was able to eliminate manufacturing errors and dramatically reduce the unnecessary waste of materials and product. A warehousing facility needed to improve efficiency and improve inventory control. To accomplish this, they installed an automated pallet tracking system, utilizing Omron Microscan’s extended read range scanner.